How to add a simple text box (no form fields)... but not a header... for disclaimer, instructions, etc.? I missed it on my first look too. 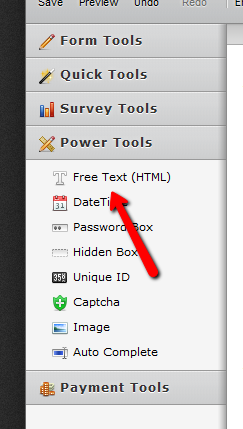 Yep, a Free Text (HTML) field from the Power Tools sub menu is probably the way forward here.